I launch from Oceanside, CA tomorrow morning, April 24, 2016. 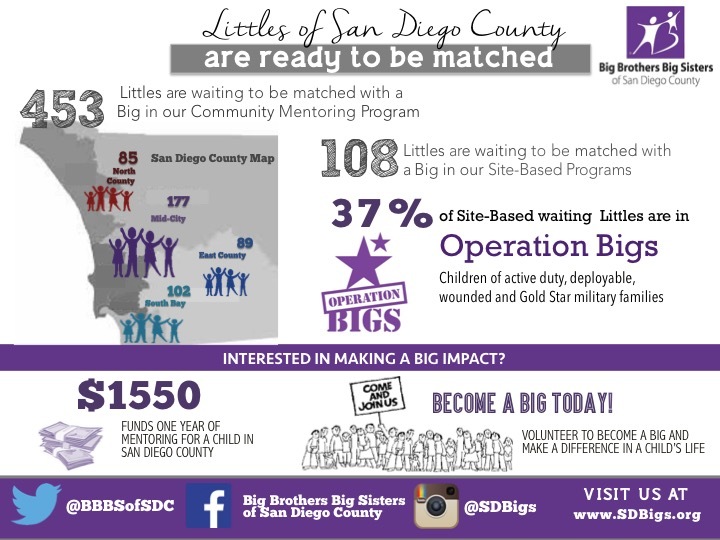 San Diego County is home to a large population of military families. There are many that are led by single parents. Their children tend to move around a lot over the course of their childhood. If ever there was a group of people who could use some extra support, it is them. Their children would really benefit from the support of a mentor. As I think about these wonderful people while I ride, I hope you will consider supporting their mentoring needs.